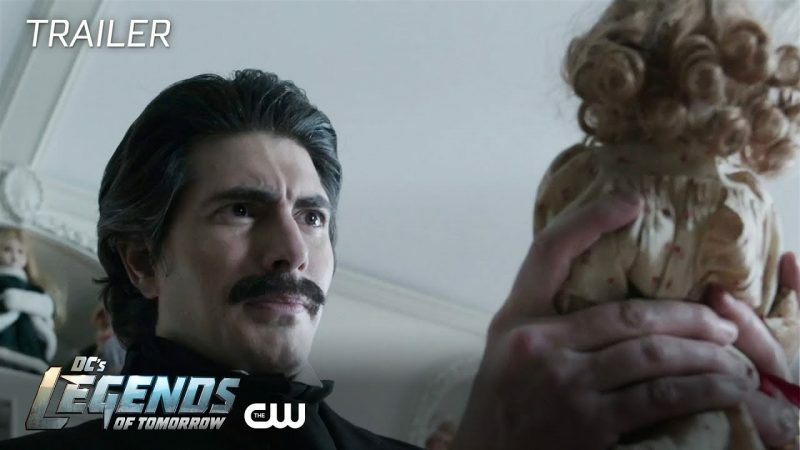 On the next episode of DC’s Legends of Tomorrow, a serial killer is on the loose. One that just happens to be a rather auspicious looking doll. After all, a villain like this is simply “horror movie 101.” You can check out the trailer in the post below! After defeating Mallus by cuddling him to death with a giant stuffed animal named Beebo, the Legends were ready to ease off the gas. That was until Constantine arrived to inform them that, in solving one major problem, they have created another, much larger one. When the Legends let time crumble in order to release and defeat Mallus, the barrier between worlds softened. History is now infected with “Fugitives” – magical creatures from myths, fairy tales, and legends. Having been expelled throughout time by people like Constantine, these Fugitives are now returning to our world in droves and making a real mess of things. So when all hell breaks loose, who ya gonna call? That’s right, the Legends!